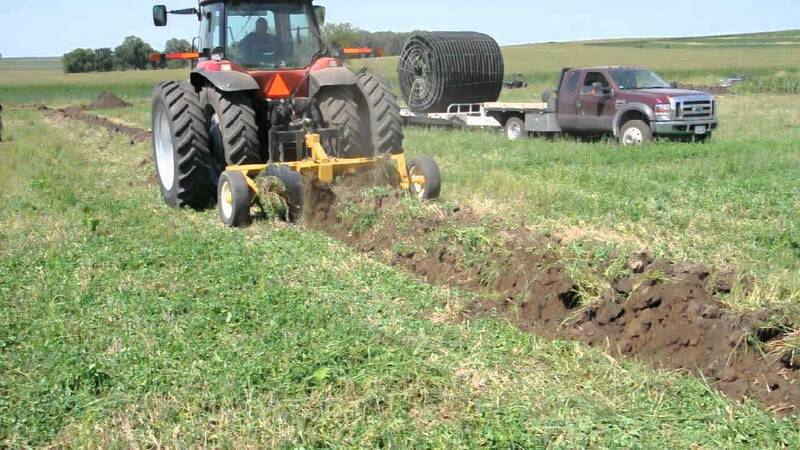 Johnson Drainage Plows are built to withstand the rigors of ripping though the soils of your field without pre-ripping. This original design was developed in 1986. Even then it was built as a pull type plow. This design allows for pulling with multiple tractors via the dual hitch. It is pulled completely by the draw bar. These plows can easily pull around curves and corners. Click on an image below to learn more about our Johnson Products!